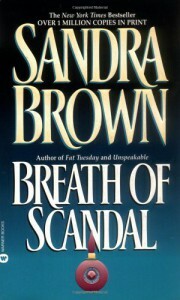 Breath of Scandal by Sandra Brown is my latest addition of her work to my read shelf. She is an author that appeals to me on every level and I am happy to share this (late) review. I finished reading the book on 3.30.15 and, as much as I loved it, it’s hard to believe I have waited this long to share my review. I would like to thank Net Galley and Grand Central Publishing. We have some young, hormonal boys out drinking, bored and looking for something to do. I see nothing good coming from it..and I hated to be right. Noel is the sheriff’s kid and is a spoiled pig, a creep, and I think he will grow up to be a very bad man. He had the best of everything and thought Jade would fit right in. She sure didn’t and snubbed him. Jade’s mom thinks it’s a great idea, but Jade has her eyes set on Gary. I quickly figured out what is to come, but there was lots of anticipation and tension created while I waited for it. That is why I love Sandra Brown. Just because I know what’s coming, her writing makes for page turning, white knuckled reading. The writing is so good, I smell the beer on his breath, feel the slime of the mud as we crawl through the car ruts and the cold swampy water as we huddle in the ditch, terrified. I felt the fear before Jade did, because, as a reader, I know what is coming before she does. LOL I cringe as I think of it. I feel it is going to be so much worse than she can imagine….and I’m right. I am horrified! I am so pissed off!!!! Breath of Scandal reads like a true story. I want to throw my Kindle at the wall I am so ticked off. I had to stop reading for a moment and catch my breath, get my emotions under control. AND, I am only at 15%. It is so hard to describe the emotions bubbling through my veins, racing through my mind, aghast at the abuse and misuse of power and the nonchalance of the characters involved, from the bad guy, the cop, her friend, and her own mother, probably the biggest betrayal of all. Crowd mentality can cause people to take on newer and darker personality traits. The wealthy and powerful rule and think that laws were made for other people, not them. Is the one aiding and abetting as despicable as the actual villain? I’m beginning to plot Jade’s revenge for her. I love her ability to pick herself up and go on. I love her grit and determination. The only downside was when Sandra Brown veered off topic to tell Dillon and Debra’s story, but there must be a reason???? Breath of Scandal by Sandra Brown had all my emotions raging. Dying would be too good for the evil characters, and believe me, they are evil. A death sentence would be too good for them. I could rant on and on, but I think I have said enough. If you love your emotions running the gamut, disgusting villains, and a protagonist that will have their day, then you need to grab a copy now! 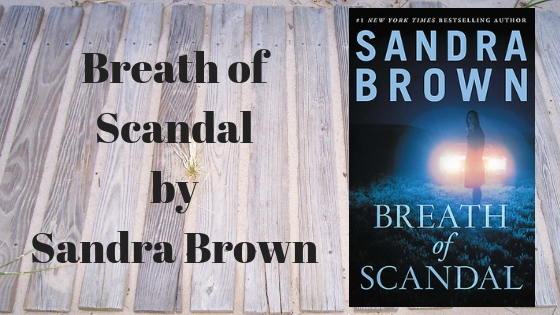 I voluntarily reviewed a free copy of Breath of Scandal by Sandra Brown. 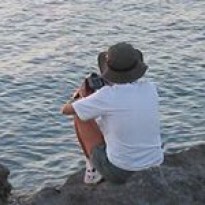 I am an Amazon affiliate/product imgaes are linked.